I’ve been a member of many groups during my adult life; some were retreats lasting as little as 4.5 entire days all the way up to those that met monthly for several years. In part one of this post I provide a synopsis of some of them. As a 21-year-old undergraduate psychology student I volunteered at The Warm Place, a grief support organization for children and their families. I co-facilitated preteen and teen groups. Before each evening of potluck dinner followed by support groups, the facilitators would meet with a staff member and a licensed therapist who monitored the groups. We began by checking in with each person to see how his or her previous two weeks had been. At the time I endured roommate struggles, for some a rite-of-passage in college. My fellow facilitators, mostly middle-aged and from all walks of life, treated me with respect and support as I shared my conflicts. I loved my whole experience there and learned so much about grief, children, group process, and myself. Incidentally, on my final evening at The Warm Place, the therapist told me I would make a good counselor someday. Five years later I met him again, this time as a doctorate student a year ahead of me in our program. Three years later I was a teaching assistant in a kindergarten of a child development laboratory school while taking classes for a doctorate in Child Development that after two semesters I chose not to complete. On Friday afternoons the head teacher would meet with us two teaching assistants and whoever was the early childhood education student teacher at the time. We planned curriculum for the week, discussed students, and problem-solved. Despite having decades more teaching experience than the rest of us, the head teacher always asked our opinions and collaborated with us as equals. It was empowering. During one summer in graduate school, I experienced being a member of a true counseling group. I think there was 5-6 of us including the professor who served as facilitator. I had been “strongly encouraged” by another professor to participate, meaning I went into the experience somewhat resistant (not everyone in my cohort received such an invitation) yet my pleasing nature at the time resulted in my being open and cooperative. I began as shy and quiet and left feeling more confident about myself as a result of the support and challenge I received from the leader and other members. For two semesters I was in a supervision group that included myself, two fellow doc students, and our more advanced doc student supervisor who created a safe place for us to consult with one another on cases, blow off steam from the stresses of graduate school, and use art to gain more awareness into ourselves and our counseling clients. This group was so helpful and making art was so relaxing we often would meet longer than the required amount of time. 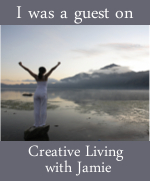 A few years ago I was a part of Jamie Ridler’s Circe’s Circle, a 10-week creative tele-coaching group, with 6 other women from the U.S., Canada, and France. The support I received from Jamie and the other women as well as what I learned about myself through the creative activities was just what I needed at the time. I am still in touch with many of these women via social media and have met one of them in person. I’ve taken many, many ecourses from artists, writers, and life coaches with members anywhere from the tens to hundreds. Some have felt therapeutic like a supportive community while others have been more like a class. There are a host of possible reasons for this including the topic; leader’s knowledge, skill, and experience level; characteristics of the group members themselves; and my own interest and effort level. For years I was a member of a book club that unfortunately disbanded as other members were taken away by their children’s activities. I do so enjoy discussing books, eating dessert, and the fellowship of other women. I have led many other parent education groups and internship groups for counseling supervision. Today I still lead internship groups and teach undergraduate group counseling courses. I prefer smaller class sizes when feasible so the students and I can sit in a circle. This format allows more intimacy and focus on experiential activities. Part Two of this post will focus on the necessary ingredients for a successful group.